For pretty much the entire 1980’s, the Thompson Twins created some iconic and catchy music. And when the band changed their name in 1993 to Babble, the sound was similar, but different enough. Only us die hard fans followed along. But before Tom Bailey and Alannah Currie called it quits on making new music, it was years before that they stopped touring. August 1987 was the last live date the band played. I saw them a month earlier in Los Angeles for the “Close To The Bone” tour. I had previously seen them in November 1985 at Irvine Meadows, which was such a great show. Not sure why they decided to make new music but not tour. Perhaps they knew they had run their course. 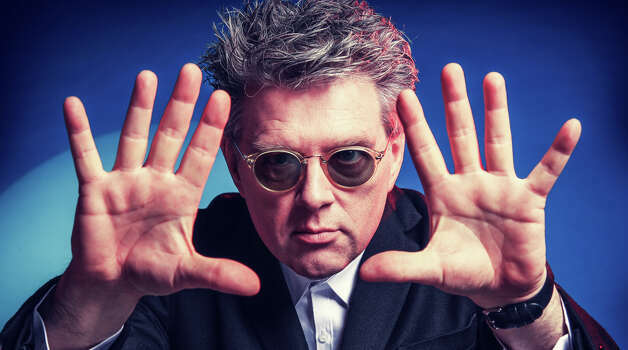 Fast forward to last week, where for the first time in 27 years, Tom Bailey took the stage in a UK club and performed Thompson Twins songs. Almost an hour’s worth. And he was good. Really good. Listen and watch above if you are as big of a Thompson Twins fan as I am. That warm up show was in preparation for Retro Futura, which is a renamed Regeneration Tour from years past. Co-headlining with Howard Jones [no, not that Howard Jones], Tom Bailey will be on stage performing Thompson Twins songs for us 80’s fans. It’s not the classic reunion of the band, but it’s the voice of hits like “Lies”, “Doctor, Doctor” “In The Name of Love”, “Sister of Mercy” and “You Take Me Up”. Joining me for the Utah date is Dave2 from Blogography, who just so happens to be just as big of a Thompson Twins fan as I am… maybe even bigger. So watch the performance above and wait for my blog post review of the show, which plays Utah on September 6th. Thompson Twins are another band, much like Bronski Beat, that I only really knew in name. No, I take that back, I do know more Thompson Twins’ music than Bronski and like what I know, but I own zilch. I may have to look into fixing that situation. Recommended starting point? Best album to start with is “Into The Gap” which was their release that cemented their popularity. I’m still very fond of “Here’s To Future Days” which was the album they toured when I saw them live for the first time. As a long time Thompson Twins fan I was both super excited and a little nervous as I watched that video for the first time. Need not have worried at all. That was great! Another TT fan that reacted the same way… a bit cautious, but then after watching that performance, hooked.